Baseball & Softball Rundowns! A Sure Out If Defended Properly! I look upon rundowns in youth baseball and softball differently from most other youth coaches. Too many times I have seen in games I’m involved in or when opposing coaches or games I am observing instruct their team on a rundown that if they cannot get the out right away, then run the baserunner back to the base where he came from. This is the easy way out. I look upon rundowns and teach my team the same that rundowns are a gift from the baseball gods to get an relatively easy out. Welcome rundowns and only be satisfied when you produce an out. The techniques I see taught in rundowns are not the way I like to teach my players which may be why many coaches are just happy with the status quo as long as the baserunner did not advance a base. There are a few reasons why rundowns are not successful in youth baseball. First off when presented with a rundown a lot of teams are seeing it for the first time because they do not practice it. This is a game situation that has to be practiced with players rotating fielding positions and as baserunners. Another reason is that teams will think because it is a rundown that hey have to begin throwing the ball to each other right away. This is just the opposite of the ways I teach my team. Still another reason many teams are not successful defending rundowns is that they throw the ball too many times. Because the players don’t practice rundowns, when they are involved in one it may be their first experience. Players are yelling for the ball, coaches are yelling out instructions and even parents in the stands are playing “coach” and doing their part to confuse the situation. Let me break down my philosophy when it comes to rundowns. A key phrase I began to use a number of years ago is “sprint mode.” I tell my players this and even demonstrate how when a player is running full tilt, it is very hard for him to stop short and change directions. So I teach my players that we want to get the baserunner in a sprint mode. There are unnecessary throws where the player is dilly-dallying sideways and is able to stop and easily change directions. The most basic philosophy I tell my players is the ideal number of throws in a rundown and none. The perfect situation is if one of the fielders gets the baserunner into this sprint mode and is able to run him down and tag him for the out. This will happen sometimes depending on the personnel. A good point here to remember is that your fielders even though they are 10-12 years old, know what hey are going to do next. The baserunner has to guess. The second best number of throws besides none is only one. If your team practices rundowns, understands getting the baserunner in a sprint mode, most of the outs will come from rundowns with one throw. And when you think about it and picture the situation you can understand why. Remember to convey to your players that it is never a sure out unless they are able to hold onto the baseball. I’ve seen too many times when a team defends a rundown perfectly only to have the fielder tag the runner and the ball comes loose because of the momentum the runner creates. Teach your players to squeeze the baseball and the pocket is a better place then the webbing when tagging. A rundown I use is to use two basepaths, between first and second and third and home. Have a player in the middle of two fielders with a ball and on the “go” command the fielders try to get the out. This is also excellent practice for the baserunners when they are in a rundown in a game. You can set up a competition giving the baserunner two points for getting to the base and the fielders getting one point for getting the out. Using two basepaths you can use six players at a time. Make sure you rotate players and positions. Besides this drill, practice rundowns and make sure you teach the other players to back up the throws.It makes little sense when during a rundown your outfielders stay out there far from the infield. I usually have my outfielders come closer to the infield just in case a ball go really errant. Whenever players are backing up, if they are too close to the action, the ball can, and will go past them. When practicing rundowns with my team I like to tell a player to make an errant throw on purpose, just to see how the fielders handle the situation. Coaches need to practice rundowns and give your players the mind-set that a rundown is an opportunity for a sure out! 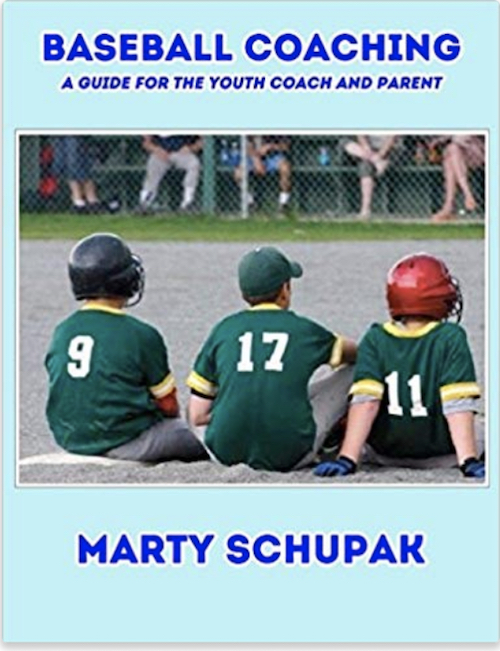 Baseball & Softball Secret That Yields 1-2 Extra Runs Per Game!